Jagdip Singh, AT&T Professor of Marketing, explains his new research on customer satisfaction, which is featured in the article “‘Sorry’ Is Not Enough” in the January–February 2018 issue of Harvard Business Review. Ever asked to speak to the manager? Ever get off a customer service call feeling defeated and maybe even cheated? 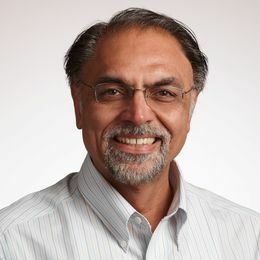 Jagdip Singh, AT&T Professor of Marketing at Weatherhead School of Management, dives into his new research focusing on customer satisfaction in a podcast just out from Harvard Business Review. His research is also featured in the article “‘Sorry’ Is Not Enough” in the January–February 2018 print issue of the magazine. Singh found that customers perceived the solving work to be more helpful than the relational work. In other words, saying “sorry” is not enough. “Relational work—showing empathy or showing warmth or forging personal connections—the words used up in this kind of work is actually perceived to be not very helpful because in [the customer’s] mind it distracts from the solving work that is essential for the customer to have good options,” he says.